Machine stitched cotton twill, with plastic buttons and steel zip. Offset lithographic printed cardboard label. On 24 April 2013, the Rana Plaza building in Dhaka, Bangladesh collapsed, killing 1133 workers and injuring thousands more. 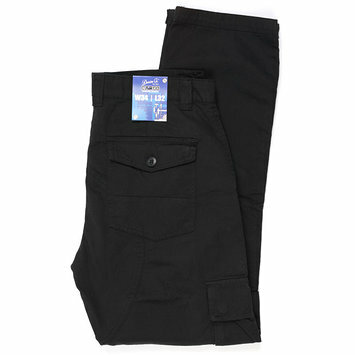 Pairs of cargo trousers like these were manufactured there for British retailer Primark. The Rana Plaza building had been illegally altered and extended over several years. It accommodated textile factories in which global brands including Benetton, Matalan and Mango manufactured clothes. Cracks in the building had been noted the day before, yet garment workers were ordered to return to work on 24 April. The building collapsed shortly after 8.45am. The tragedy prompted a global dialogue about how demand for fast-changing inexpensive fashion has created poor conditions for workers in countries like Bangladesh. The debate about Rana Plaza embraced how to reform Bangladeshi building codes, the rights of low-paid workers and the responsibilities of global consumer brands and of shoppers in rich, western countries. Fast fashion is a system developed over the course of the last few decades, initially instigated by large retailers and supermarkets such as Walmart and Tesco, spreading quickly to more traditional high street fashion retailers. Trend-based fashions are produced very rapidly in short runs. Seasonal sales are reduced and pressure is put on the consumer to purchase garments immediately on sight. This, coupled with aggressive pricing strategies, leads to increased demands on productivity throughout the supply chain. These shorts have been acquired as part of the CADD section’s Rapid Response Collecting strategy. Their acquisition is motivated by the desire to connect the collections of the V&A with global events that bear on design and manufacturing. The V&A holds the national collections of textiles and fashion and this acquisition links the musuem's holdings to the debate and consequences of the worst industrial disaster in the garment industry in recent times. 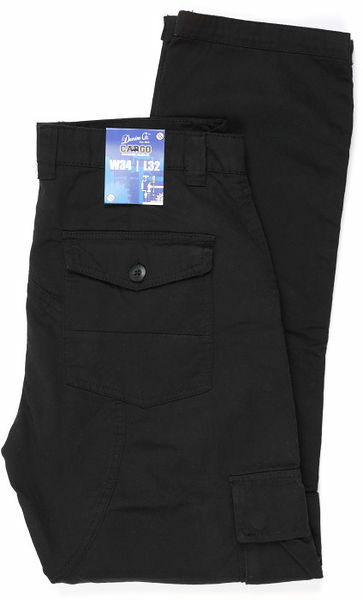 Black cotton twill cargo trousers, with cardboard information label sewn to the waistband. These trousers are identical to a type made in the Rana Plaza factory by New Wave Bottoms, for Primark. Rana Plaza collapsed in April 2013, killing hundreds and injuring thousands. This pair were also manufactured in Bangladesh but at a different factory. 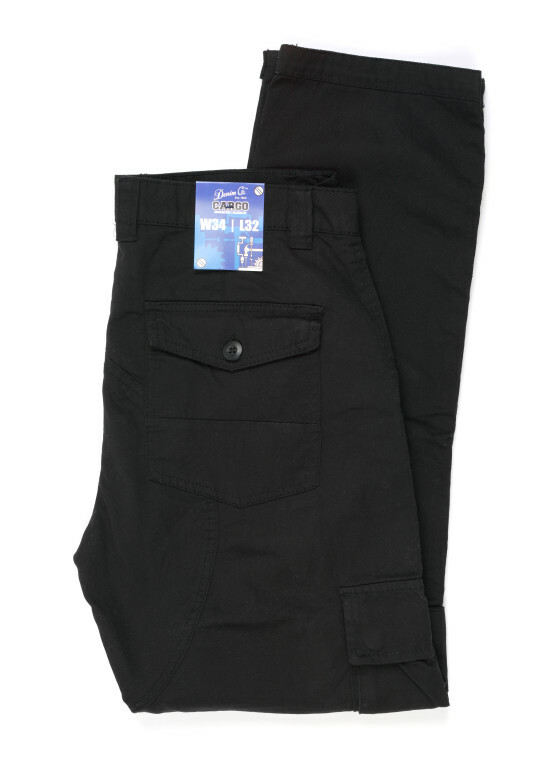 Cargo trousers manufactured in Bangladesh in 2013/14, identical to ones manufactured in the Rana Plaza factory, sold by Primark. On 24 April 2013, the Rana Plaza building in Dhaka, Bangladesh collapsed, killing 1133 workers and injuring thousands more. This pair of cargo shorts was manufactured there for British high street retailer Primark. The Rana Plaza building had been illegally altered and extended over several years. It accommodated textile factories in which global brands including Benetton, Matalan and Mango manufactured clothes. Cracks in the building had been noted the day before the tragedy, yet garment workers were ordered to return to work on 24 April. The building collapsed shortly after 8.45am. The tragedy prompted a global dialogue about how ‘fast fashion’ has created poor conditions for workers in countries like Bangladesh. The debate about Rana Plaza embraced how to reform Bangladeshi building codes, the responsibilities of global consumer brands, the rights of low-paid workers and the responsibilities of shoppers in rich, western countries.